Worzel Gummidge News – Tickets and how YOU can be involved! The scarecrows are falling into order under the watchful eye of The Crowman and rehearsals are well underway for our Christmas Show – Worzel Gummidge. We can’t wait to show you what we’ve got in store, so we thought we’d update you with news of ticket release dates, how to purchase and also how YOU can be involved with the show. Tickets will go on sale on Monday 15th October and will be available to purchase here on the website under the ‘Tickets’ section. You can also buy them direct from TicketSource by calling their hotline on 0333 666 4466* or visit us down Cottenham Community Centre on Saturday 3rd and 24th November from around 11am where one of our team will be happy to assist you. *Via TicketSource – Booking Fee may apply. **Judges decision is final. Prizes to be awarded to cake competition winners. 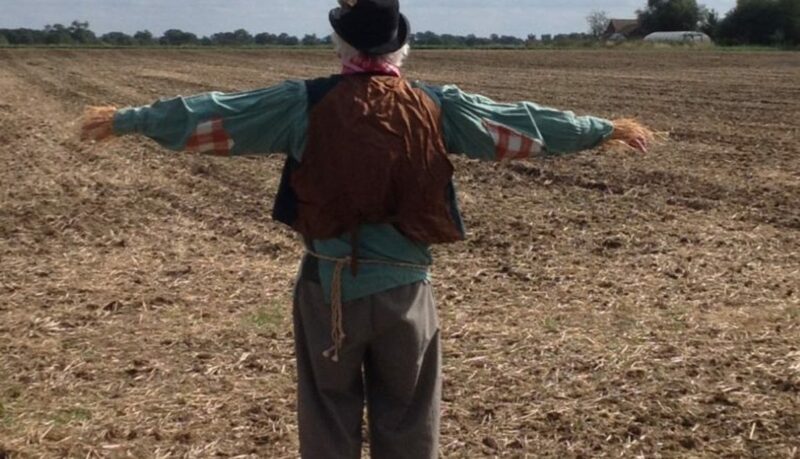 Winners of scarecrow competition will have their entry used in the production. Runners up submissions will be used as promotional material around the fields of Cottenham. In taking part in the competition you agree to these terms.